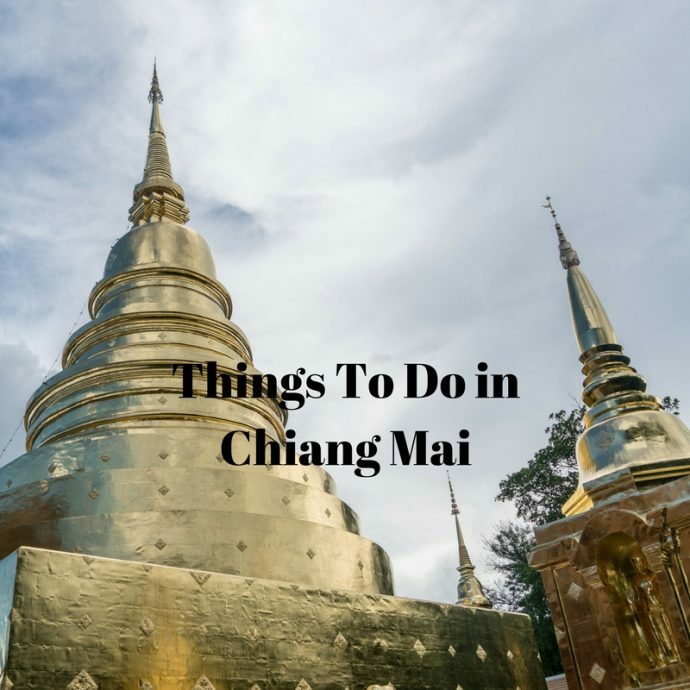 There is nothing better than getting tips from locals who live in a destination that you want to visit, our guest writers Ros and Alan Cuthbertson have put together a great post on Things To Do in Chiang Mai. Chiang Mai, Thailand’s 2nd largest city and capital of Thailand’s Northern Province is vibrant and more laid back than Bangkok. We loved our time that we spent there and you will too. We hope you enjoy these tips from Ros and Alan. 6.1 Chiang Mai’s finest dining establishments. Our names are Ros and Alan Cuthbertson and we live a life of roving retirement. We spend most of the year travelling the world house sitting and part of the year living in the vibrant city of Chiang Mai in Northern Thailand. Many people ask us about our life in Chiang Mai and want to know about the good, bad and ugly sides of the city. 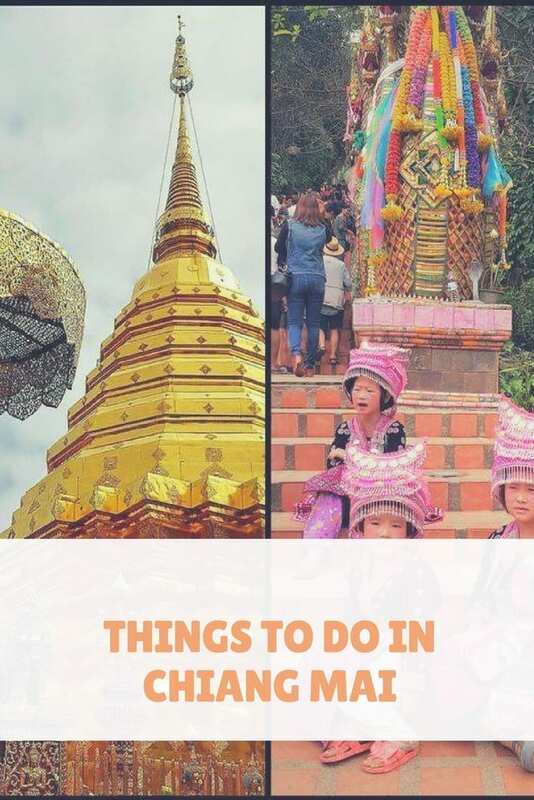 Here are our thoughts on the top things to do in Chiang Mai Thailand for those thinking of expat living. We had been to Thailand many times in the past and places such as Bangkok, Pattaya and Phuket introduced us to the magic of Thailand. We knew very little about Chiang Mai, we imagined a small town where hill tribes cultivated opium poppies. What we found was thriving city where the modern and traditional co-exist to create a friendly small-town vibe. Opium poppies have long been replaced with organic fresh produce an initiative introduced by the late King Bhumibol Adulyadej to enhance the life of the Hill Tribe people through his Royal Project Foundation. Our love for the city began from the moment we stepped off the plane at Chiang Mai International Airport. The warmth of the local people, lively pace of life and laid-back charm attracts visitors to the city time and time again. Chiang Mai is alive, it has a vibrant nightlife, diverse restaurant and cafe scene, stunning Buddhist temples, exotic festivals, fascinating markets and home to a fabulous array of attractions. The cost of living in Chiang Mai is another winner for those looking for a cheaper retirement destination. Housing, food, internet and electricity are all cheap compared to many western countries. Most expats living in Chiang Mai enjoy a quality of life they could only dream of in their home country. Dining out and meeting up with friends for a fun night out become a regular occurrence rather than something you only do on special occasion. 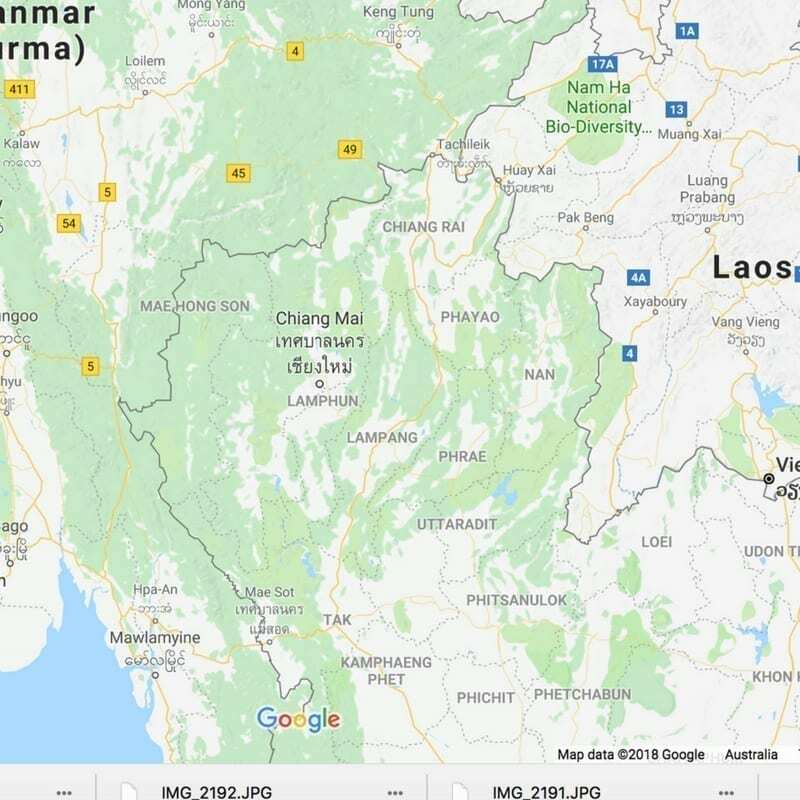 Living in this exotic location is thrilling, I love Chiang Mai’s unique differences. Simple things such as riding through the back streets in a local bus called a Songthaew can often take my breath away. 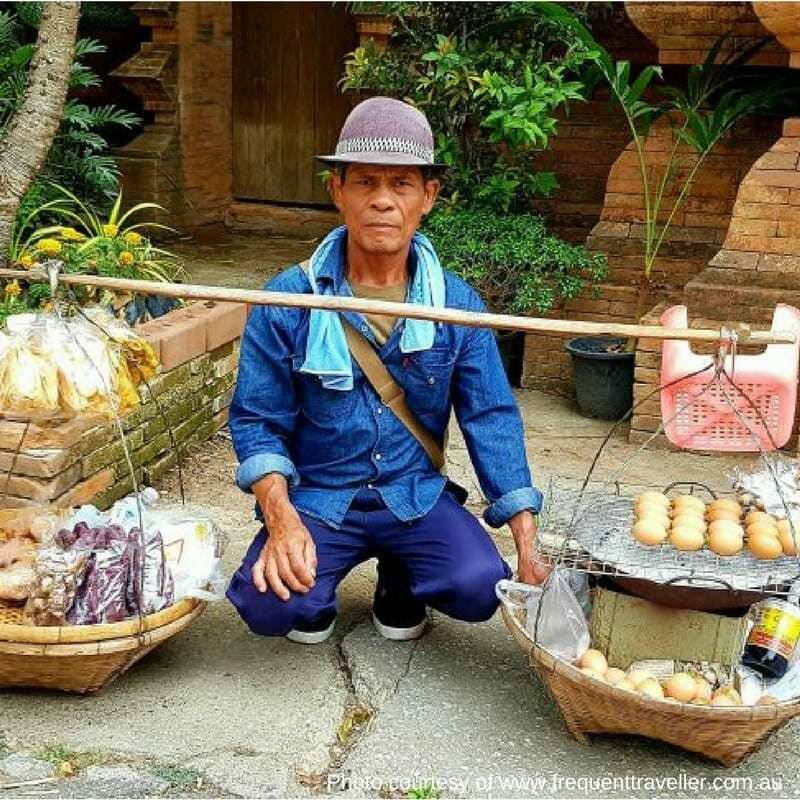 I marvel as I watch the quail egg vendor walking quickly through the streets balancing baskets of quail eggs from a pole on his shoulder. I smile as flower sellers gossip and laugh as we drive past the flower market, the air heady with the scent of flowers that are intricately woven into exquisite flower arrangements. Chiang Mai nightlife is electric, a hotbed of talented artists who are showcased throughout the city in music venues, reviews, bars and restaurants. 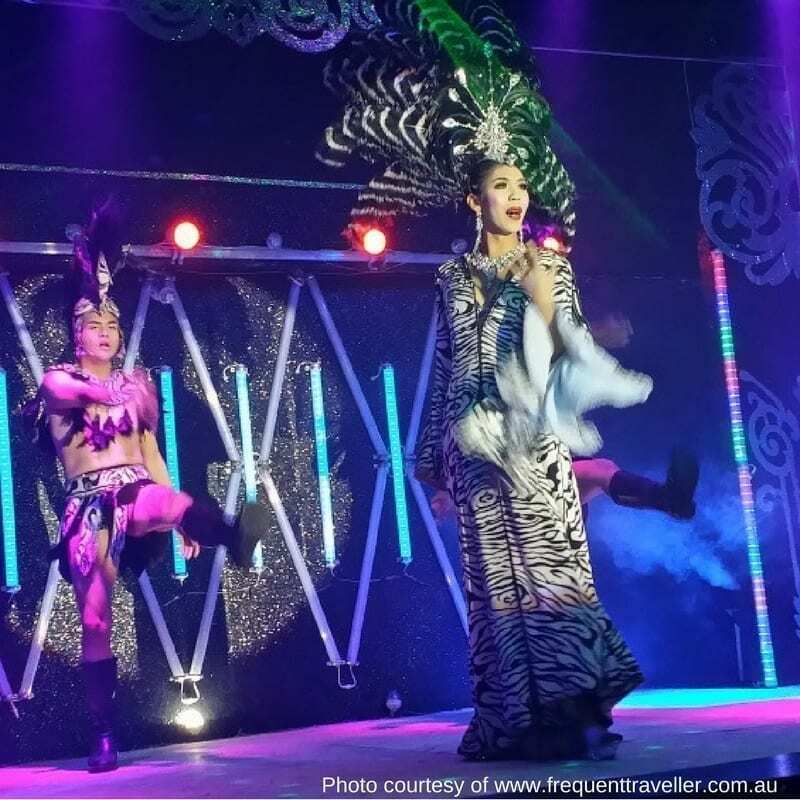 There are so many wonderful venues for entertainment in Chiang Mai, here are a few of our favourites. At the Kalare Night Market, you can get down with the Blues at Boy Blues Bar or check out all three venues as they are within walking distance from each other in the Chiang Mai Night Market area. If you love jazz, head to the Chang Puak Gate (North Gate) of the moat and listen to ice cool jazz at the North Gate Jazz Co-Op, one of Chiang Mai’s most popular venues. Visiting new restaurants is a Chiang Mai expat pass time. With a wide array of Thai and world cuisines on our doorstep, we never get tired of discovering the latest culinary trend. Chiang Mai’s finest dining establishments. In the centre of Chiang Mai, you will find the moated old city. Within the moat, you will find a treasure trove of restaurants. The Tikky Café is a small restaurant located down a little lane, it has a range of authentic Thai dishes and smoothies. The food is simply delicious, and the staff are friendly and welcoming. Dash Restaurant is set within a traditional teak house, a gorgeous setting to discover top quality Thai cuisine. The portions are massive and there is also has a range of Western dishes on the menu. Dada Café is a serves a large range of healthy sandwiches and delicious Thai and Western dishes. The Dada Cafe also caters to vegetarian and vegan diets, but make sure you bring an appetite as the portions are huge. By Hand Pizza Café is tucked away in a small lane and well worth a visit for those times when only pizza will do. Le Meridien Hotel’s Sunday brunch is a Chiang Mai institution and shouldn’t be missed when visiting Chiang Mai. The River Market Restaurant is located next to the Iron Bridge and is the place to sit and relax while watching the River Ping float by. This charming traditional Thai style house a favourite for celebrating New Year’s Eve and The Loy Krathong and Yee Ping Festival. Street Pizza and Wine Houzz has a charming old-world atmosphere and serves a great selection of pasta and pizza, the place to come for a fun night out. 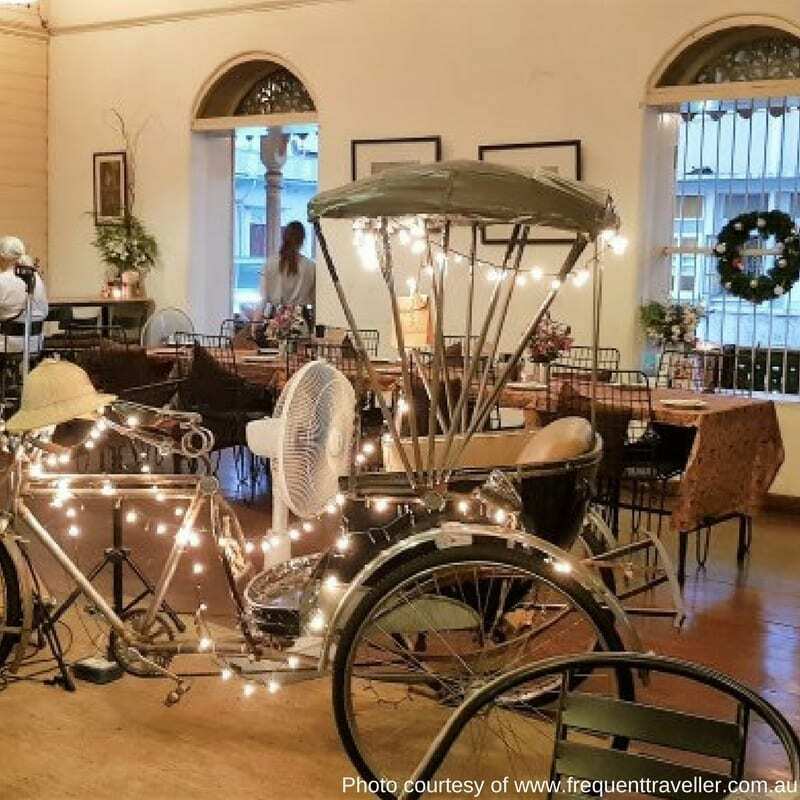 The Nakara Jardin Bistro is nestled within a pretty garden on the banks of the River Ping. 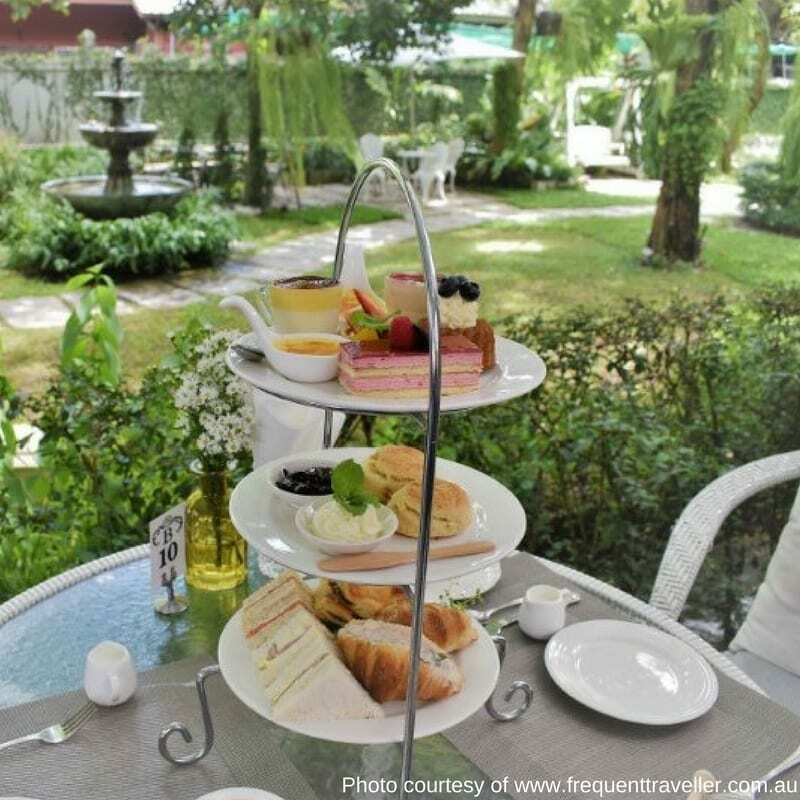 The peaceful setting will transport you back in time as you relax with a luscious Nakara Jardin afternoon tea platter or a dish from Nakara Jardin’s classic French menu. LEON De Nimman is the place to go for fine French and Thai cuisine, it has a cozy atmosphere and friendly staff. The Flying Pig is the place to come for the best ribs in town. The Flying Pig is casual dining set in a relaxed modern atmosphere. 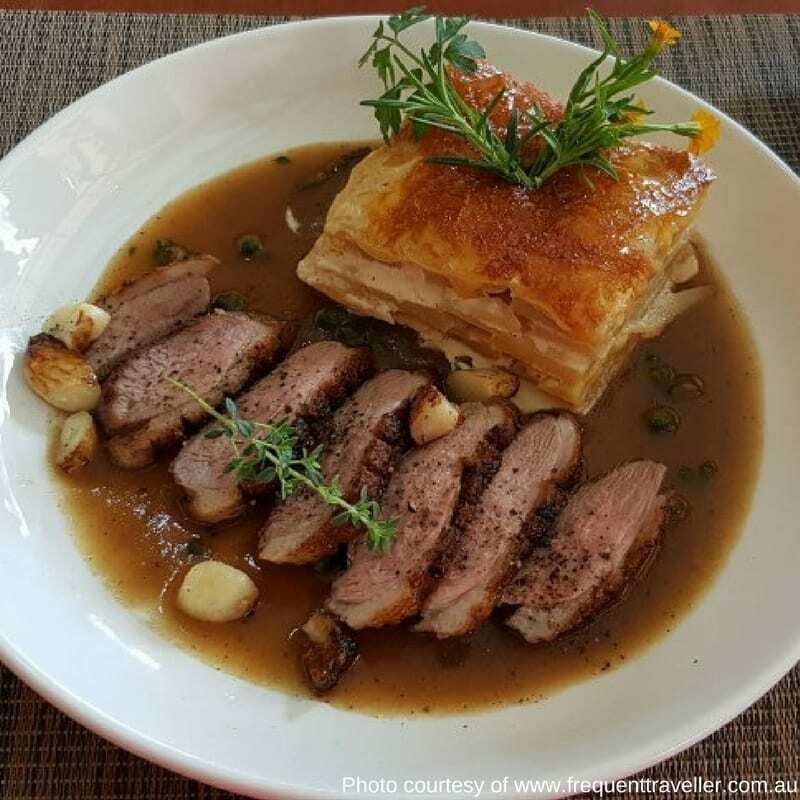 For high-end dining you can’t go past David’s Kitchen. What more can I say, sumptuous food, gorgeous setting and outstanding service. Chiang Mai is a city full of Buddhist temples, each of them stunning in their beauty and serenity. All Chiang Mai’s Buddhist Wat’s (temples) are lovely but two stand out, Wat Chedi Luang in the Old City and Wat Phra That Doi Suthep on Doi Suthep mountain. Wat Chedi Luang is a large temple complex with a magnificent ancient Chedi a number of striking temple buildings within its grounds. Those interested in Buddhism can participate in Monk Chat, a great way to get a better understanding of this peaceful religion. Wat Phra That Doi Suthep gazes down over Chiang Mai from the heights of Doi Suthep mountain. A sacred Buddhist relic is housed within its golden Chedi which shines brightly in the midday sun emitting a dazzling ethereal glow. To get to the Wat Phra That you can make merit by walking up the 306 stairs of the decorative Naga (serpent) staircase or take the cable car. Once at the top you will see one of the most beautiful temples in Northern Thailand and spectacular views of Chiang Mai in the valley below. Always remember that the temples are a place of worship, be respectful and dress appropriately covering your legs and shoulders. Chiang Mai has many colourful festivals which showcase the traditions of this fascinating region. Highlights include the Chiang Mai Flower Festival, a striking festival of bright flower-adorned floats, beautiful traditionally dressed women, music and dancing. The Chiang Mai Flower Festival is held in February. Songkran is held on April 13th and celebrates Thai New Year. It is the time to wash away the bad and prepare for good blessings of the new year ahead. Traditionally it is the time to visit the temple and make merit by pouring water over the Buddha statues and making food offerings to the Monks. During Songkran Chiang Mai lets its hair down and the city turns into a massive water flight that lasts for 5 days. Super soakers, buckets of water and water pistols are the weapon of choice and it is open season on everyone. One thing for sure at Songkran you are going to have a lot of fun and you are going to get wet. Our favourite Chiang Mai festival would have to be the Loy Krathong and Yee Ping Festival which takes place on the full moon of the 12th month of the Thai Lunar calendar, usually around November. This spectacular festival begins with parades and beauty contests. Intricately woven and decorated flower baskets called Krathong are placed in the River Ping as offerings to the water Goddess to ask for forgiveness and thanks. 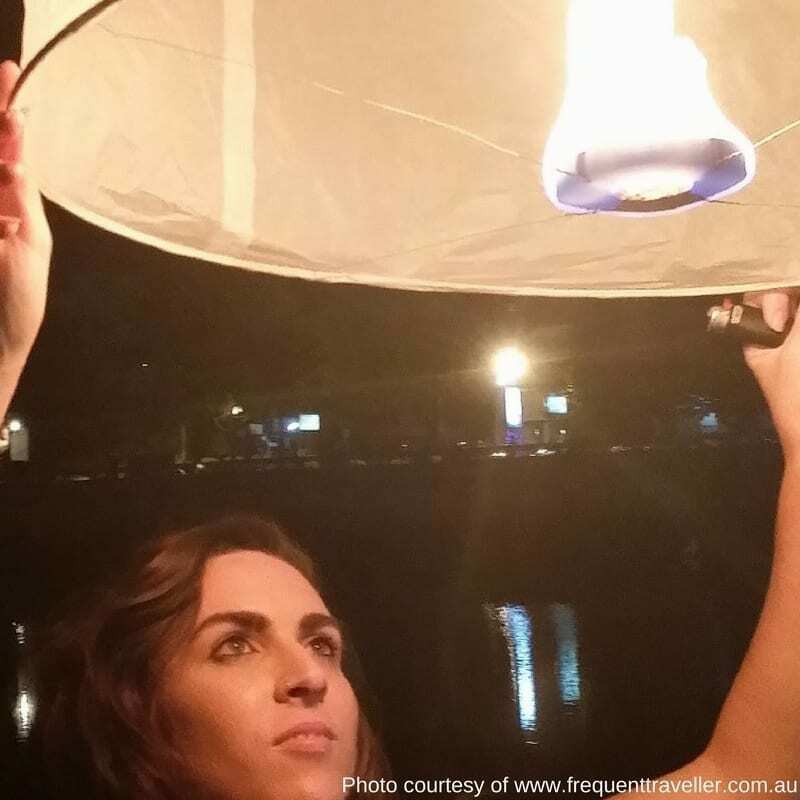 In the evening Chiang Mai gets into party mode as thousands of lanterns (khom loi) are released into the sky. 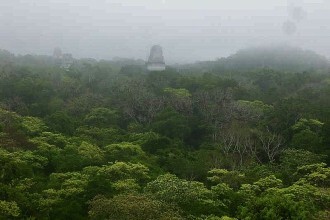 It is a breathtaking sight and a time for letting go of misfortune and wishing for good luck in the future. Chiang Mai is loaded with attractions, you can get up close and personal with majestic elephants, go trekking and rafting in the mountains, experience the thrill of flying through ancient forests on a zip line, spend the day with a noble tiger or take a Thai cooking class. Shoppers will find a paradise in Chiang Mai. 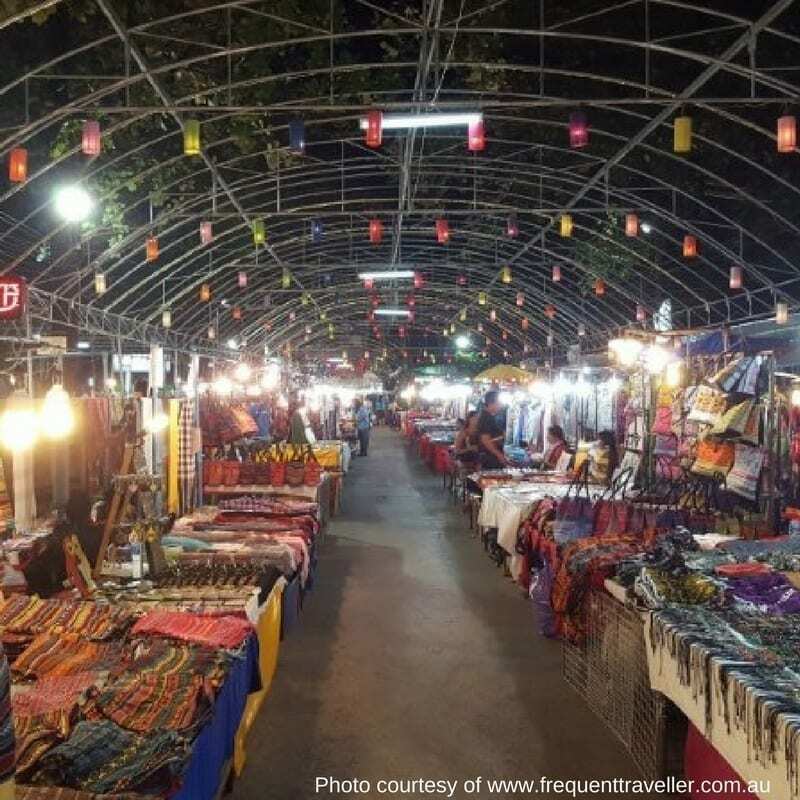 The Saturday Night Walking Street Markets near the Chiang Mai Gate and the massive Sunday Night Walking Street Markets near the Thapae Gate are filled with exotic wares and bargains. For live entertainment, restaurants, Thai handicrafts and clothing the Chiang Mai Night Market area is a must. For those looking for designer brands and high-end electronics head to the modern Maya and Central Festival shopping malls. 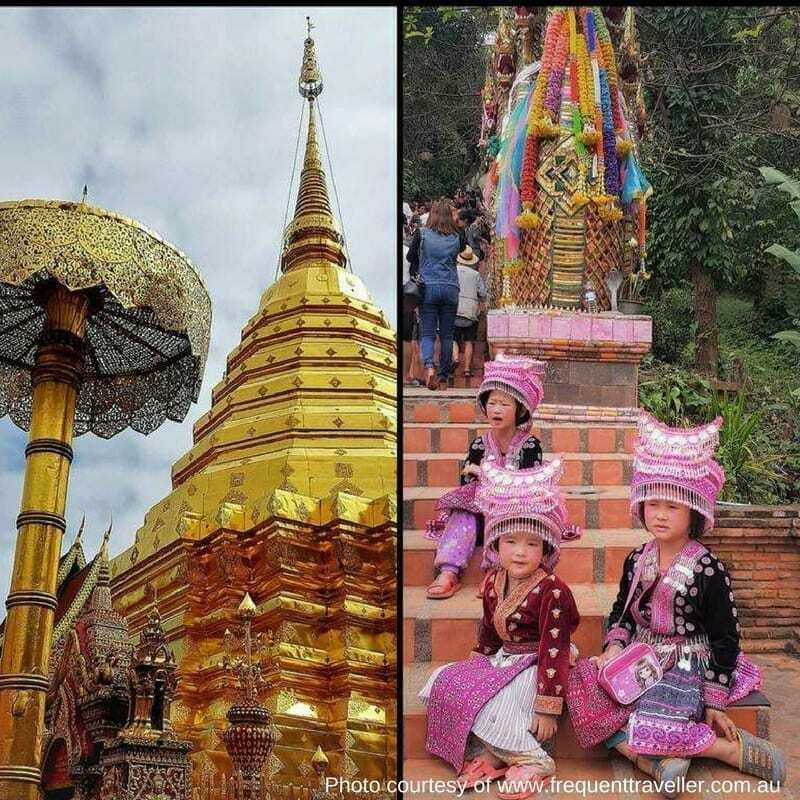 For short day trips outside of Chiang Mai, take the time to visit the village of Mon Jam for stunning mountain views or head to Chiang Dao to explore the Buddhist Monasteries and the Chiang Dao Caves. Chiang Mai is a wonderful place to stay, but it does have an ugly side and that is its smoky season. The smoky season is caused by farmers burning off their fields to get ready for the new season of crops. Smoky season is not the best time to visit Chiang Mai as the city is covered in a smoky haze and it can cause respiratory problems. The best time to visit Chiang Mai is between October and February, the weather cools down and you can expect Chiang Mai temperatures between 30 degrees Celsius and 10 degrees Celsius making for pleasant days and nights. Come and enjoy the delights of this remarkable city, just make sure you book well in advance as Chiang Mai gets super busy during this period. 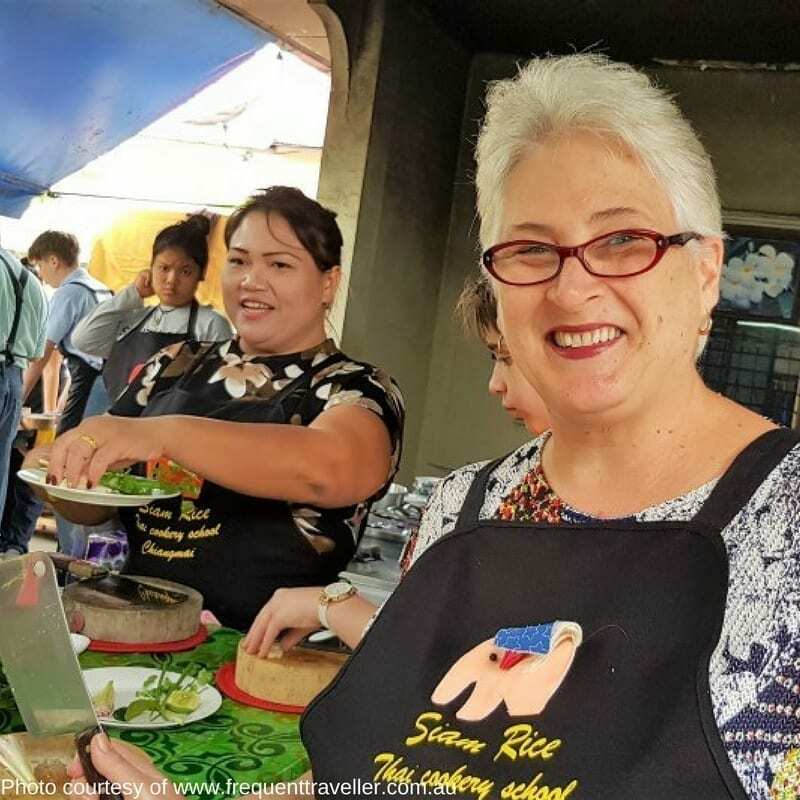 We thank Ros for her informative article on Things To Do in Chiang Mai. For more information check out Alan and Ros’s website (see details below). 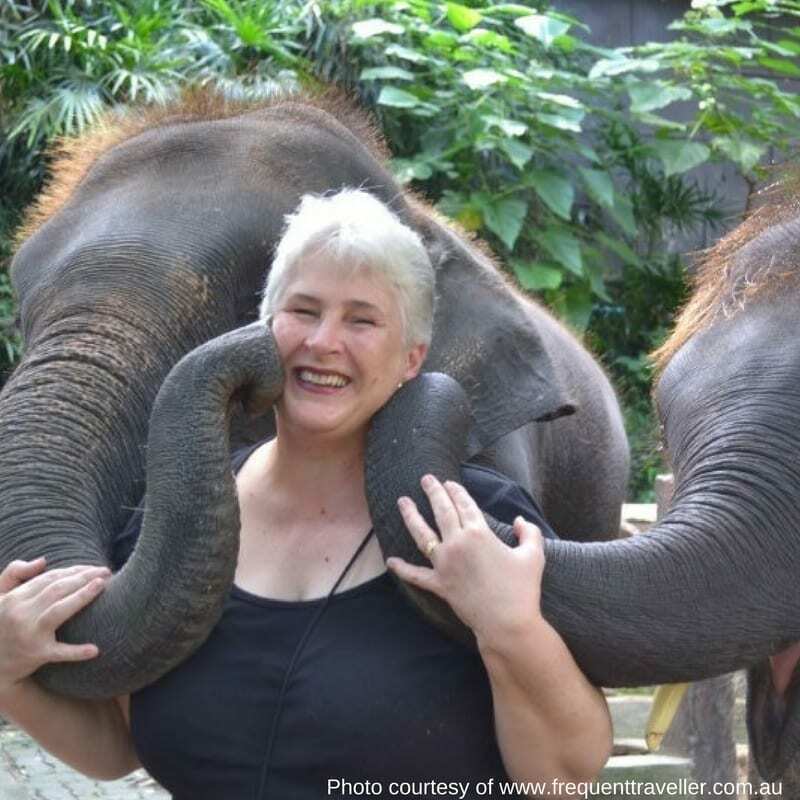 Ros Cuthbertson is part owner of the popular website Frequent Traveller. She enjoys writing feature articles about our travel adventures and has been published in magazines including International Living Magazine. She has also had the privilege of working with various tourism boards across England, Scotland and Thailand. Ros likes experimenting with different types of travel and likes to mix up luxury and budget styles to get the most out of her travel adventures. 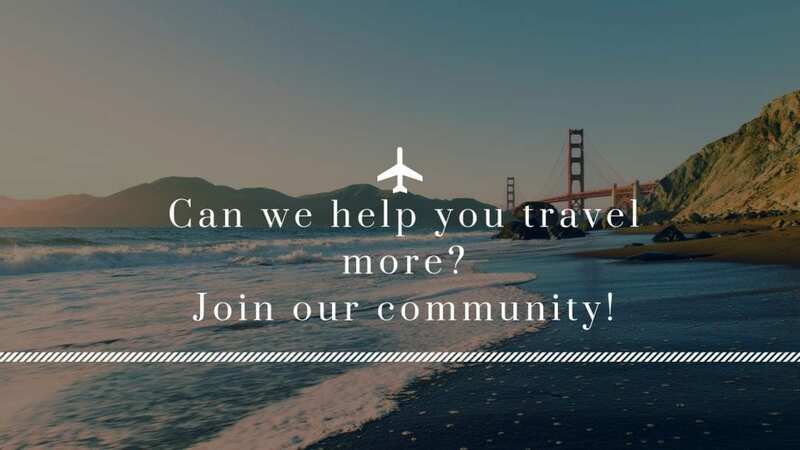 We have researched Tripadvisor Chiang Mai and also hotel websites and have produced a list of hotels for your information and planning purposes. Have you tried Airbnb accommodation? Chiang Mai has a range of accommodation to suit all your needs. If you have not booked an Airbnb property before here is a link to save you $$$ off your first booking. 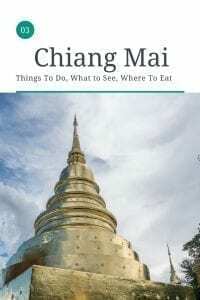 If you enjoyed Things To Do in Chiang Mai PIN it for later. Great stuff Ros! One of my fave places on earth. My wife and I wrapped up a 2 month house sit in Chiang Mai not 2 months ago. Lovely spot; Pong Noi, outside of town, bordering Doi Suthep National Park. CM offers visitors so much. Cannot wait to return. Thanks for sharing! Yep great article from Ros! The house sit would have been a great opportunity to live like a local in CM just like Ros and Alan! What an experience. We love CM. I think it is time for us to return for a visit!